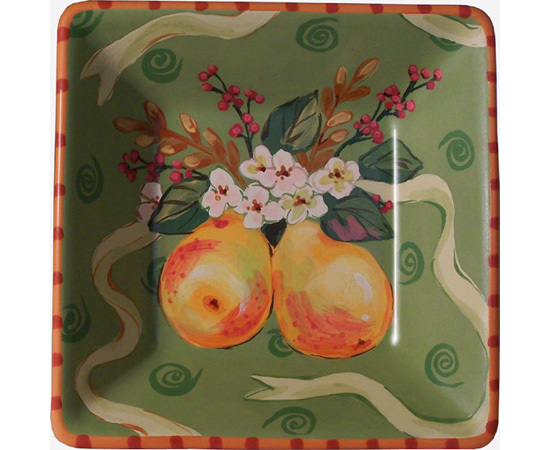 Pear Ribbon Square Bowl 8"x 8"x 2". Makes a great candy dish. Click on photo to enlarge for details.